Spot gold climbed by 0.2 per cent to 1,292.16 per ounce as of 0756 GMT. 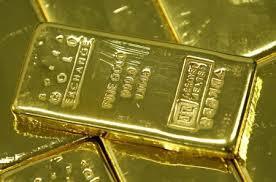 U.S. gold futures firmed 0.1 per cent at 1,296.80 dollar an ounce. On the technical front, as long as prices don’t break the 1,280 dollar support, gold will be broadly range bound between 1,280 dollar and 1,320 dollar price levels, with immediate resistance around 1,302 dollar, said Ajay Kedia, director at Kedia Commodities in Mumbai. Among other precious metals, spot platinum rose 0.7 per cent to 880.76 dollars an ounce, having earlier reached its highest since mid-June at 883.49 dollars an ounce. The auto-catalyst metal jumped 3.4 per cent in the previous session, the most in more than two years. Palladium gained 0.5 per cent to 1,412.30 dollar and silver was flat at 15.13 dollars per ounce.